Western Grey Kangaroo (Macropus fuliginosus) tracks at dam’s edge (9/12/12). Below are the species of plants and animals that we have identified feeding, nesting or just passing through the property thus far. This list will continue to be updated as we identify more, and used to track changes in biodiversity as we revegetate and establish different land-uses. 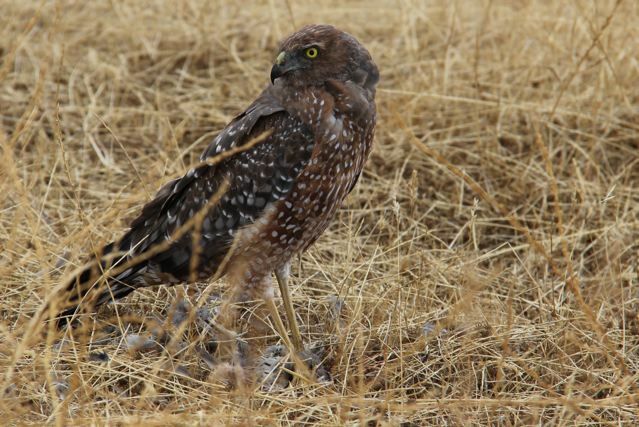 A Spotted Harrier (Circus assimilis) guards a freshly killed quail (27/1/13). Elegant parrots (Neophema elegans) rest on a fence (9/10/14). 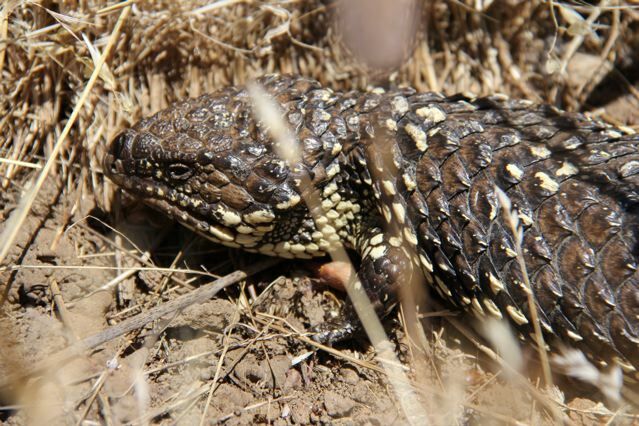 A shingleback (Tiliqua rugosa) basks on the edge of a gully (24/12/13). 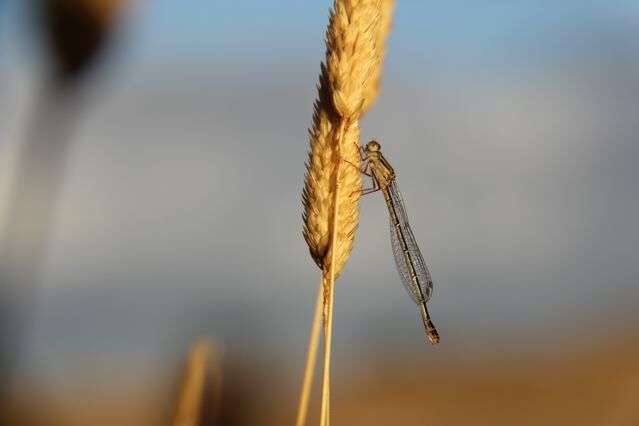 A damselfly warms in the morning sun (27/1/13). See A Year in Bugs for more spottings. A young European Rabbit (Oryctolagus cuniculus) crouches in the creek bed, before leaping up and running like hell (20/12/12). Printable identification charts for the biodiversity of the Adelaide Plains and Hills and the Fleurieu Peninsula.